Camera manufacturer Basler now offers lighting solutions for image processing systems. 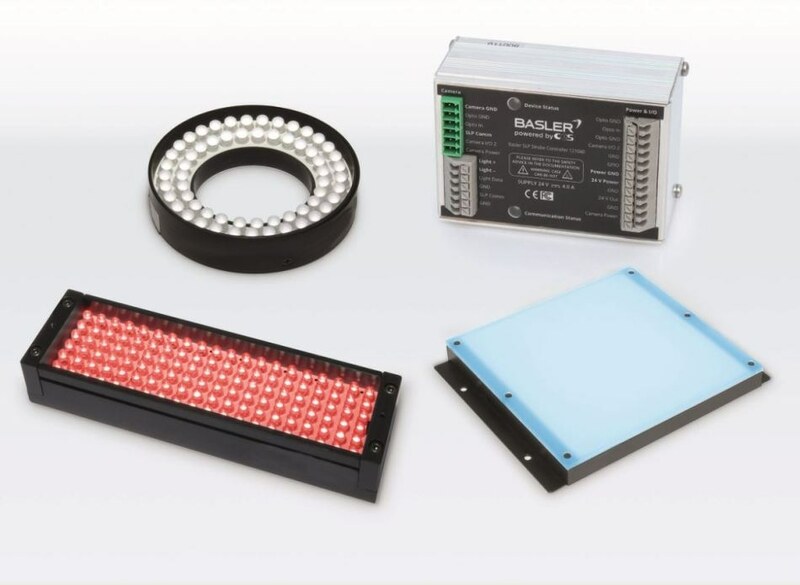 In cooperation with CCS, the world's leading manufacturer of LED lighting for Machine Vision applications, Basler has developed a comprehensive portfolio of various lighting components. The new and unique lighting concepts are designed for Basler ace U and L cameras equipped with the Basler SLP feature. Basler's patent-pending feature enables direct communication between the camera and the light source. This significantly reduces the complexity of a vision system and enables any user to easily integrate lighting early on, thus shortening the time spent on design and installation. Depending on the application requirements, customers can choose between two approaches. The flexible option is to use the Basler SLP Controller. In this case, users are able to select the best suitable lighting, which is controlled through the controller and is physically connected to the camera, therefore enabling the communication via the SLP feature. The solution is suitable for users with lighting experience who have applications with specific lighting requirements. In both setup scenarios, the Basler pylon Camera Software Suite supports easy integration, installation and operation as it is the only software interface for both camera and light in the system. The perfectly matched components - Basler cameras with SLP feature, the Basler SLP Controller and the Basler Camera Light series - allow an easy setup via plug and play. Easily accessible lighting functions such as strobing and overdrive can significantly increase the luminous efficacy and the life time of the LED lights used. In the overall package, both solutions offer high savings potential in material costs and valuable time in the entire process from acquisition to installation.